Demon Bell in Sekiro is an object that grants you a very specific item and buff, and people have been wondering how to turn the Demon Bell effect off. This is because this buff is something that certainly is useful, but comes at a fairly steep price. That being the case, welcome to our Sekiro How to Turn Off Demon Bell guide. We’re going to explain how to get rid of the Demon Bell effect, what the Bell Demon item does, and more. How to Turn Off Demon Bell Effect in Sekiro? So, now that we know that, use the Bell Demon item. After a brief animation, a screen saying Burden Dispelled will appear. After that happens, the game will go back to “normal”. The enemies will revert back to their original difficulty. The stuff they drop is also going to go back to the original, less valuable items, though. The rewards gotta match the risk, I suppose. 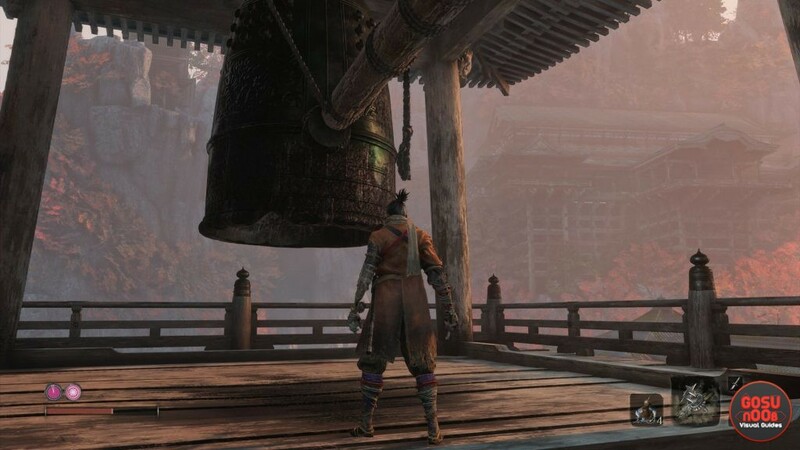 What Does Sekiro Demon Bell Do? The Demon Bell in Sekiro, when rung, causes a demon to possess you. While this lasts, enemies are much more difficult than usual, even the most basic of mobs. However, they also drop more valuable loot. Yes, this also includes the most basic mobs. Among other things, killing enemies while the Demon Bell can net you stuff like Magnetite Scraps, Iron Scraps, and even Divine Confetti. As for where can you find the Demon Bell, it’s at the very start of the Senpou Temple, Mt. Kongo zone. It’s right next to the first Sculptor’s Idol in the area. The entrance to Senpou Temple is pretty hard to find, next to a very difficult enemy. For more detailed instructions on where to find the Demon Bell and what it does, check out our Sekiro Demon Bell – Should I Ring the Bell – What Does it Do guide.